The latest NAPLAN National Report has revealed that Australia is closer than ever to closing the achievement gap between Indigenous and non-Indigenous students, but much more still needs to be done. Across a range of key learning outcomes, Indigenous Year 3 students have improved by an average of 7.4 per cent in the last decade. Non-indigenous kids saw a 4.2 per cent improvement in the same time period. In Year 5, Indigenous kids saw more than twice the growth of their non-Indigenous peers – 5 per cent compared to 2.2 per cent. 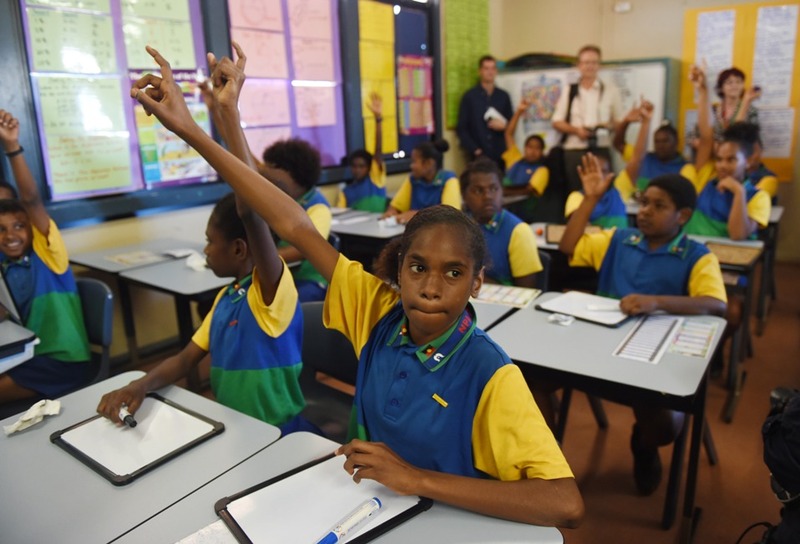 Improvement of outcomes tapers off overall as students advance through their schooling, but the trend of Indigenous students advancing at a quicker rate than non-Indigenous students remains consistent. Despite these promising results, ACARA warned that if the current rates of growth continue, the literacy gap will not be fully closed for many decades. “Even though these high rates of growth are something to take comfort in, it’s still going to take too long to effectively close the gap in literacy and numeracy,” ACARA chief executive David de Carvalho said. As it stands, an average of 80.6 per cent of Indigenous students and 96 per cent of non-Indigenous students nation-wide are at or above the national minimum standard for the Year 3 learning outcomes tested by NAPLAN, meaning there is an achievement gap of 15.4 per cent. The achievement gap for Year 5 students is slightly higher, at 19.1 per cent. The gap remains far larger in the Northern Territory than in other states. There is an achievement gap of 54.1 per cent among Year 3 students in the Northern Territory and 55.8 per cent among their Year 5 peers. Earlier this year the Federal Government announced that the Closing the Gap targets would be redeveloped in consultation with Indigenous Australians. Prime Minister Scott Morrison said at the time that the refreshed targets would focus on education. “Education is the key to skills, to better health, to jobs,” he said.